The small city of Ocean Shores is located at the very tip of Point Brown Peninsula on Grays Harbor and the Pacific Ocean. It is a part of Grays Harbor County in western Washington state and has a population under 6,000. It may come as no surprise that Ocean Shores is well known for its pristine beaches and is a popular place to take a family vacation. Neighboring cities include Hoquiam, Aberdeen and Westport, which can be seen across Grays Harbor from the North Jetty. 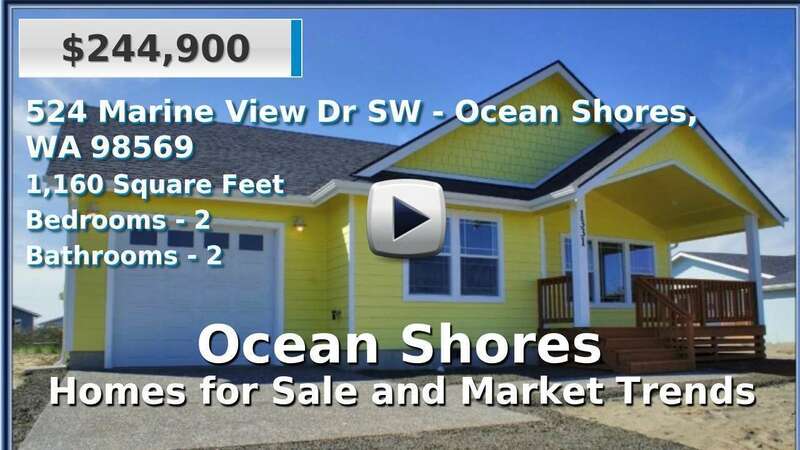 Ocean Shores has seen some real estate growth in recent years, despite maintaining its rural, coastal town atmosphere, particularly with the number of condominiums for sale. Single-family homes for sale in the area tend to be newer than the county average. 3 Beds | 1587 sq. Ft.
2 Beds | 2.5 Baths | 1260 sq. Ft.
2 Beds | 1 Baths | 696 sq. Ft.
1 Beds | 1 Baths | 400 sq. Ft.
2 Beds | 1.5 Baths | 1026 sq. Ft.
3 Beds | 3.5 Baths | 2924 sq. Ft.